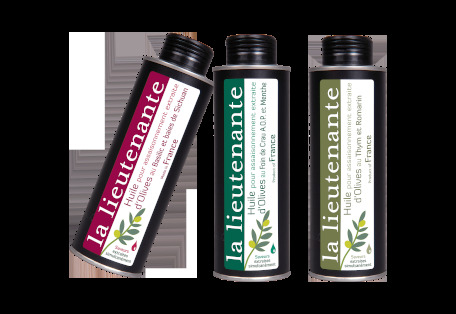 Olive oils from the Vallée des Baux de Provence P.D.O. Green fruit: an olive oil, fresh and fiery! Black fruit: a traditional olive oil, smooth and mild! Man has been eating olives for a very long time. Only certain varieties are eaten as what are known as “table” olives. Extensive know-how is brought to bear in order to preserve the finesse of the pulp and the natural fruit taste, each olive variety has its own recipe. 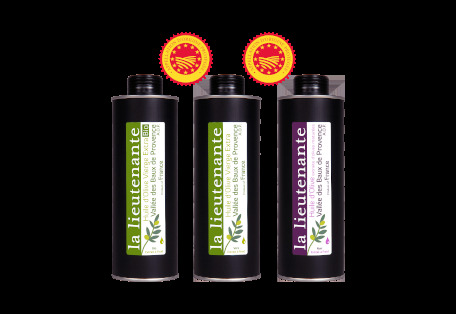 All our olives bear the label “Olive de France” [Olive from France]. 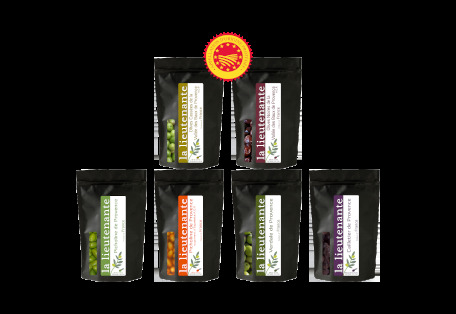 Our flavoured oils are made from olives from our groves crushed and mixed simultaneously with the flavours we have selected carefully. This process enables us to obtain a naturally flavoured olive oil with delicate or pronounced tones... all the subtle scents of our Provence! For foodies, to be offered as a gift or why not for yourself ! 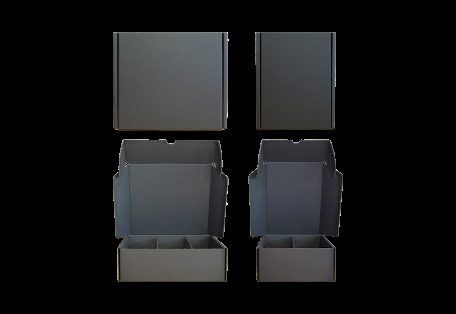 As Christmas are fast approaching, gift box offered. Choose how much pieces you want to add into your cart. Splited Olives from the Vallée des Baux de Provence P.D.O. Black Olives from the Vallée des Baux de Provence P.D.O.